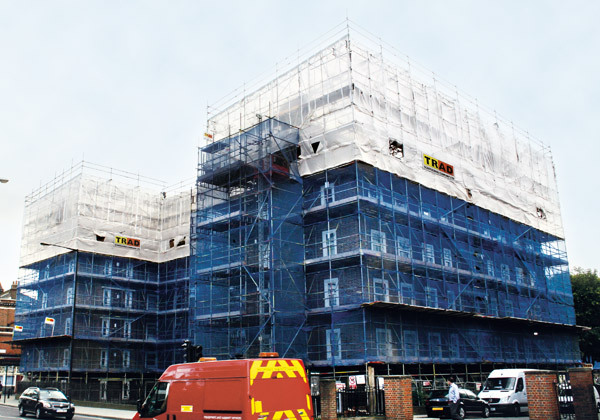 TRAD Scaffolding were successful in bidding for this large refurbishment for Hackney Decent Homes. 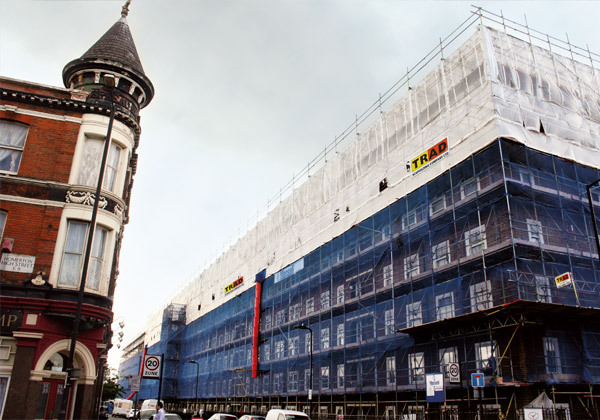 This is one of the largest blocks within the Hackney area and the scaffolding works were to enable the replacement of existing windows and the renewal of the roof. 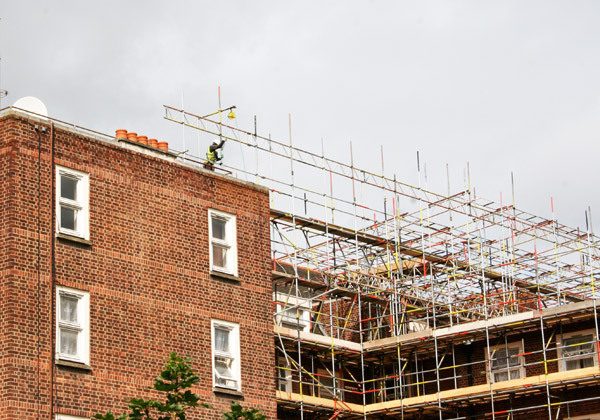 The scaffold includes a large temporary roof and has been erected to a tight programme with one of our senior foreman, Kevin Hickman, leading the team. 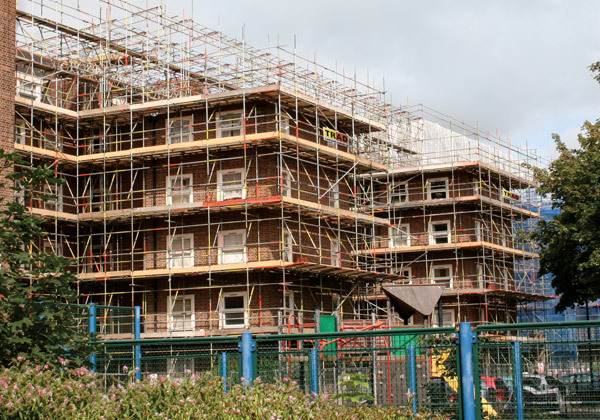 We are very pleased with the professional approach that your on site foreman Kevin Hickman has shown, we can confirm the scaffold has been erected to a very high standard. Our site inspectors are from a Scaffolding back ground so they appreciate a good scaffold and foreman, Kevin leads by example in all fields of site activities,’Safety First’. He is very approachable and will carry out any tasks that is asked of him. We are sure if it had not been for Kevin’s driving force and his relationship with his fellow workers the programme would not be where it is today. After carrying out an audit at Nisbet House and feel I should write to commend both the quality of the scaffold and of your team, in particular the attitude and appearance of your supervisor Kevin Hickman. He is an excellent ambassador for TRAD and is always in full PPE. It is a pleasure not to write the opposite.